StarSeries i-League CS:GO Season 7 will start with the Swiss Group Stage. For the first round match-ups, all 16 teams were seeded at random. Following the first round, teams will face those who are of equal strength, determined by the sum of their wins and losses from the previous rounds. As a reminder for the seventh season, all group stage matches are in a Best-of-3 format in to better determine the strongest teams among the adversary groups. 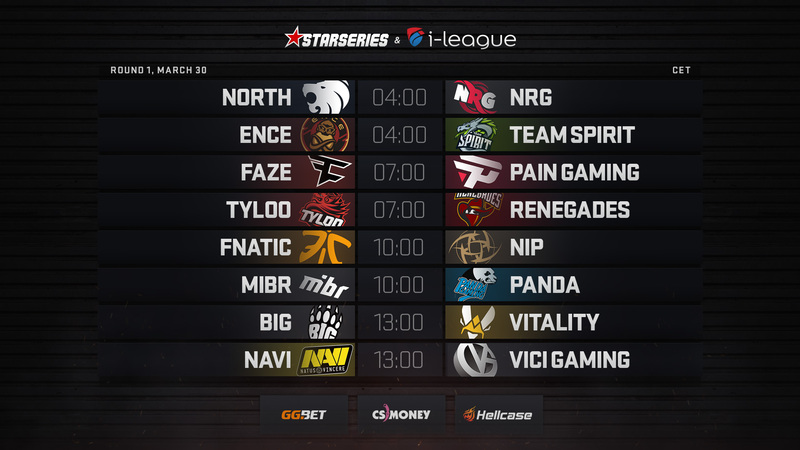 You can watch matches at live.starladder.com or through our facebook/CSSLTV/. Follow us on facebook/CSSLTV/ and twitter.com/CSSLTV to get the latest updates on StarSeries i-League.